5464 points will be rewarded to you when you buy this item. The quality of the tennis Necklace is amazing and they are super light. Love it. 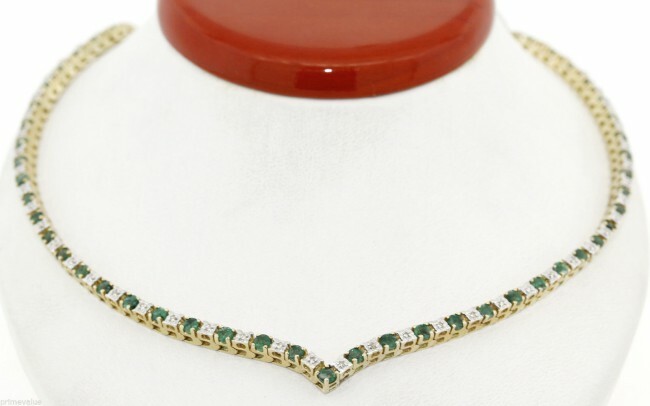 Designer Gemstone Necklaces: This Stunning Diamond and Emerald Necklace weight approximately 24.5 gms and showcases 4.8 CT of dazzling round diamonds and 9 CT of Emerald.